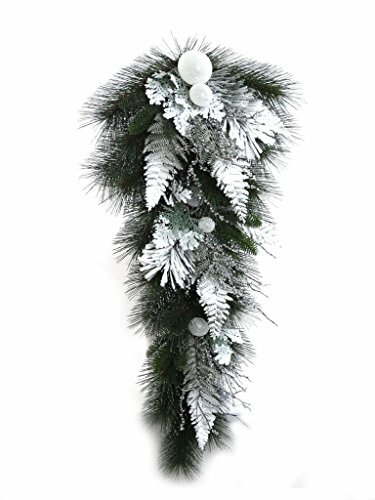 This beautiful 32" Pre-decorated Snow Covered Pine Teardrop Swag is decorated with high quality life-like fern branches and frosted glass balls. It is perfect for any mantle, mailbox or door in your home or office this holiday season. If you have any questions about this product by Larksilk, contact us by completing and submitting the form below. If you are looking for a specif part number, please include it with your message.